The former winter homeless shelter in the Haren neighbourhood of northern Brussels will re-open on 1 June as a facility for transmigrants. The centre is part of the Blue Star building on Rue de Planeur. The move by the Brussels region is a solution to the ongoing problem with transmigrants – those temporarily in Belgium trying to move on to another country, usually the UK – living in Brussels’ North Station. That situation occurred when the winter shelters closed down at the end of March. 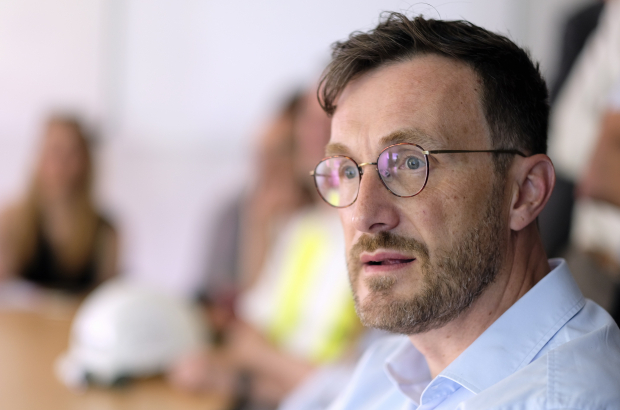 Minister Pascal Smet (SP.A), responsible for poverty issues in the capital, announced last week that space would be found to deal with the “distressing humanitarian situation”. He also said that a centre for transmigrants was the federal government’s responsibility and that a bill would be sent to cover costs associated with the new housing and information facility. Federal migration secretary Theo Francken (N-VA) replied that Brussels would receive “zero euros”. The situation at North Station is causing consternation among transport authorities, which claim that bus and tram passengers are beginning to avoid the station because of problems with trash and foul odours. The mayor of Schaarbeek, where North Station is located, met with federal justice minister Jan Jambon and Brussels-City mayor Philippe Close earlier this week, but the three came to no conclusion about what should be done about the situation until the Haren facility is ready. They did agree that the federal police would consult the two Brussels police zones involved and develop a co-ordinated plan of action.